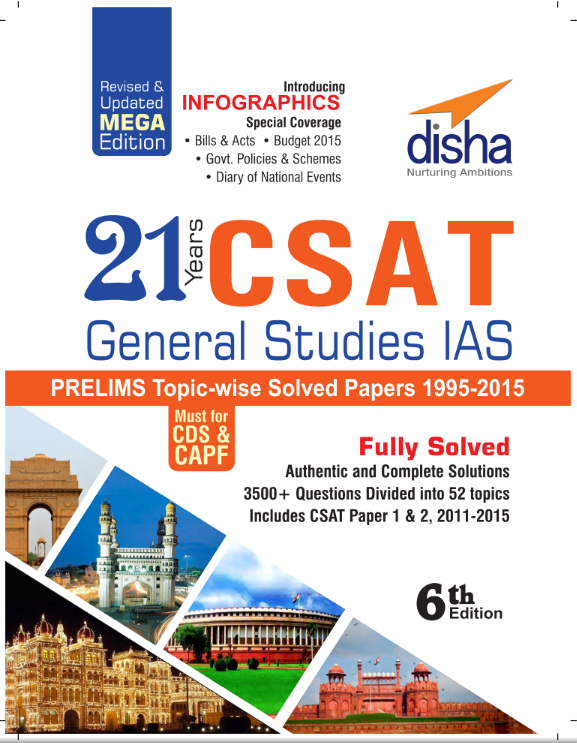 Today we are sharing last 21 years of UPSC CSAT General Studies (Paper 1) Question Papers with solutions. This is very important book for UPSC aspirants, however this book may also be used for CDS, CAPF or SSC CGL exams. SSC CGL also contains some questions based on previous UPSC prelims questions but in simpler form. We recommend you all to do at least 5-10 years UPSC prelims Questions to boost your Preparation for SSC CGL 2016.